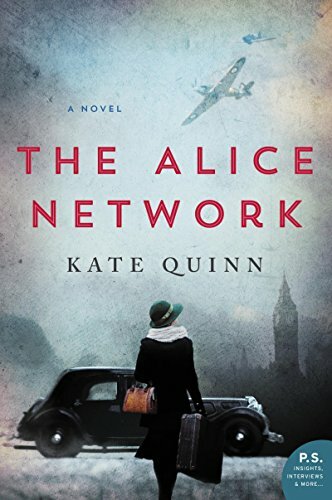 I am totally fan girling over the cover of Kate Quinn's upcoming release, The Alice Network! I love, love, love the cover and cannot wait to read it! The Alice Network will be released on June 6, 2017, from William Morrow. Pre-Orders are open on Amazon and Barnes & Noble. I love the darker, almost dreary cover of this one. It looks the way I expect things at that point in history to look with the grey bluish tinge. It sounds amazing too. Hope my library will get this one when it comes out. Fangirling right along with you on this one! If Kate Quinn wrote it, you know it's got to be good. I love that she's exploring this time period, too. A look at more modern history when I'm so used to ancient and Renaissance history from her is going to be a real treat. Love this cover!